AEGIS (Academic Enrichment and Grade Improvement Services) is an academic mentoring program within EOP. We train mentors to work with students on academic probation.  The graduate intern needs to be available for 10-15 hours a week to meet with students in the EOP's Academic Center for Excellence. The intern should be a potential role model for students, someone who has a strong empathy and trust-building skills, and who may have experienced academic difficulties themselves at one time. As the Lead Academic Mentor, the intern will be in forefront of a new academic mentoring model we have established at EOP. Based on this model, all contacts with students will not only involve content tutoring, but also evaluating and making appropriate recommendations regarding students’ overall study skills, time management, and other academic issues that may have an impact on their success. Attend training workshops and participate in self-assessments. Participate in the intake of students on academic probation. Help students identify their immediate academic needs and review skills that are essential for success in college. Assist students in goal setting. Assist students with their coursework when appropriate. Refer students to appropriate individuals, departments, and services for additional assistance. Assist in improvement/development of student survey and evaluation forms. Assist in identifying resources that could be utilized to enhance student academic skills. Organize a periodic phone call and mailing outreach to students. Maintain data and keep caseload records current. Collaborate with EOP Academic Center for Excellence and counseling staff. Attend meetings with internship supervisors and other academic mentors when scheduled. As a Lead Academic Mentor, assist in the training and evaluation of Academic Mentors. Find related research areas in higher education services, including academic mentoring programs, at-risk student services, retention, and academic intervention. In addition, there are numerous paid Academic Mentoring (tutoring) positions available every semester in various academic desciplines. Please contact the EOP Academic Center for Excellence at 878-6024 for more information.